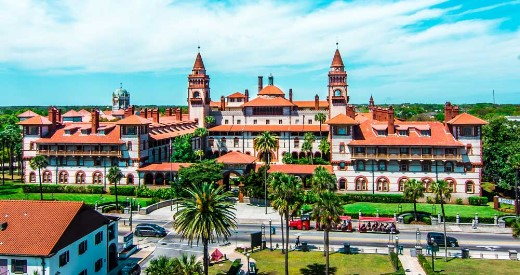 Come explore the Sunshine State, from the Moorish architecture of St. Augustine and Space Coast of Cape Canaveral to the excitement of Epcot and warm beauty of Florida's Gulf of Mexico. Join Judy's Leisure Tours on this amazing trip and escape for the cold. This escorted tour includes round trip airfare from Fargo, deluxe motorcoach, luggage handling, transfers, 8 nights accommodations, 8 breakfast, 2 lunches and 4 dinners. • Visit Bok Tower Gardens, a National Historic Landmark featuring the "Singing Tower"